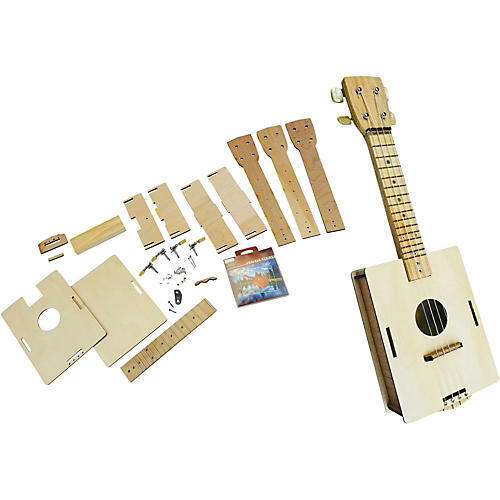 C. B. Gitty's "Gittylele" kit is a soprano-scale uke. This kit comes with a proprietary box and allows for any sort of paint or finish customization on the part of the builder. Easy instructions on how to build…you'll be proud to play your finished Gittylele. Once you're done, your pride of ownership will be fully engaged and you will practice furiously! Plus, you get to imprint your own signature design on it. Whether it's a favorite color, favorite image or an inspirational phrase, your personally constructed ukulele will say exactly what you want it to say. All the materials you need with easy instructions. Experience your truly customized ukulele. Order today.